You need a lot of time to go through the books. You will have to do extensive searching to get a book of your choice maybe. But there’s also a chance that you won’t find the books by the regularly popular authors. They would all be gone, I guess! yup that’s me, overloaded with six books in my hand and still looking for more.. 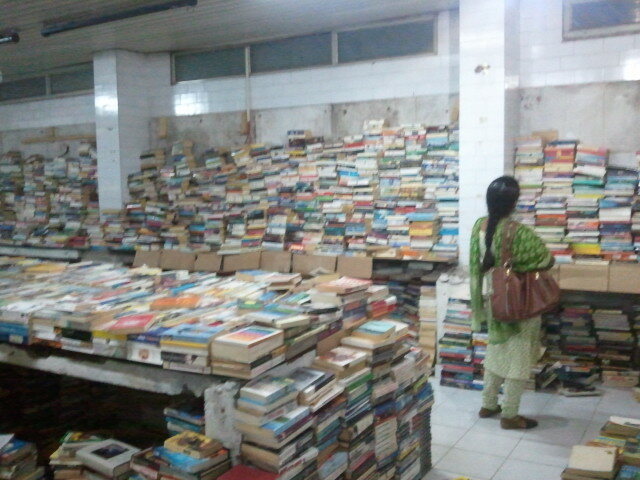 Previously in a similar sale I had bought few books. One of it was “The Glass Lake” by Maeve Binchy. It was a great book and I loved reading. So this time when I found the whole collection of her books, I couldn’t resist myself. I bought two of her books. I also bought “Chocolat” by Joanne Harris. I had watched the movie and liked it. Also I remember TGND reviewing it. So it got promptly picked! I also bought three other books, written by authors whose works I haven’t read till now. These sales give you such opportunity! I read the back cover and picked them up. Edited to add: For everyone who was keen to knowing where the place is. You will find this place if you walk from the Cool Joint junction in Jayanagar 4th block towards Pai Vijay. It is on the same road as Cafe Pascucci and Kala Mandir. 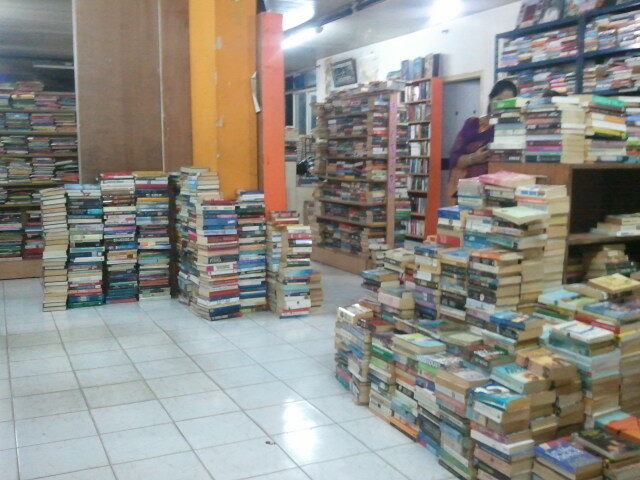 The store was named “The Book Bonanza”. Next Post And.. I am Back! omg, is this heaven or what? 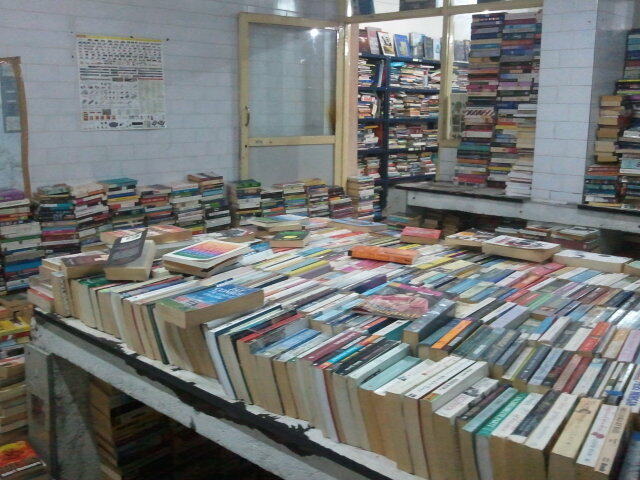 i want to there and spend days going through this treasure. I was telling Bg that if the shop guy offers me any job there, I would be happy to take it! 😀 i could sit and read books everyday! Cooool. Where is this shop? I so want to check this place next time I am in Jayanagar! Soooo much!!! U are so lucky!! I have updated the post with the location details. Thanks Lavender. I am looking forward to reading them too. 🙂 Hope you get to visit the place some day! God. That place looks like a treasure trove.. I was there in Jayanagar (4th block!) just 3 days ago. But I am almost happy I didn’t discover this place then. 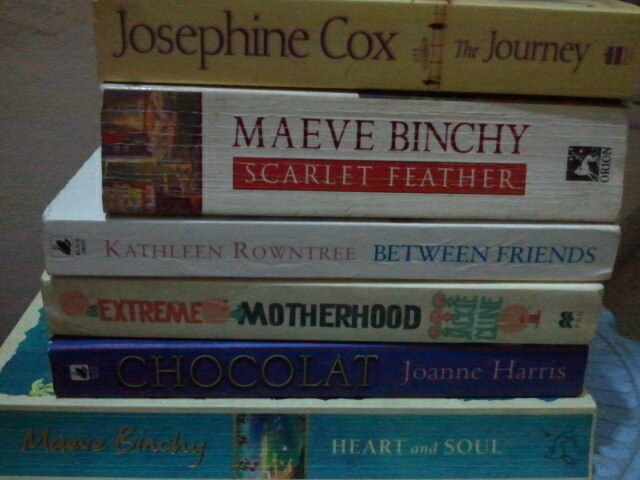 It would have been too painful to restrict myself and not buy too much owing to factors like flight luggage allowance. Hehe 🙂 It was indeed a great place! Where all did you go to, in Bangalore? What a beautiful place! I am glad you could go there and pick up some books of your choice. 🙂 Happy reading! Chocolat is an awesome book! ok ok dont kill me over this stupid comment ..
whr have u been all these days? all good? Wow! That’s a neat collection and at that price, indeed a loot! 😀 Nothing like loads of books so you’ll never run out of them.